Brittney Selby Quilting: Yesterday was a GREAT day! For the past 6 months or so I have been jonesing on understanding and accomplishing free motion quilting. Now for those in the dark, FMQ is taking all the control of stitching away from the machine. Your feet control the foot pedal which is full throttle/pedal to the metal. But your hands now control speed and direction of the stitching, if you go too slow then the stitches become too long and if you go too fast then I have trouble thinking where I'm going and it becomes mayhem. So Tuesday night, I sat and watched tv and drew loops and loops and loops. Derek said it looked like the deranged ramblings of a serial killer quilter. And he might have been right....but it helped me get over the mental aspect of understanding which way to go next. So Wednesday, I was ready to get the proverbial ball rolling and just do it! It took a quick hour and 45 minutes and I had beaten my fears. 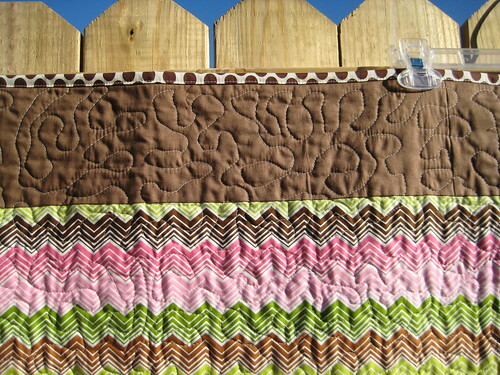 So my quilting is far from perfect but I feel good enough to try again on another quilt and progressively get better. 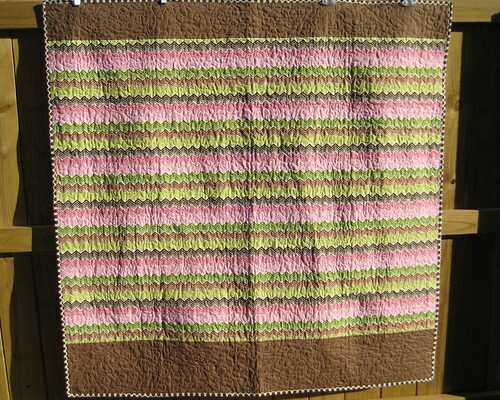 Quilting: Free motion stippling by me!! Linked up at Sparkles Linky Party at In Color Order by Jeni. Love the name you gave your quilt! 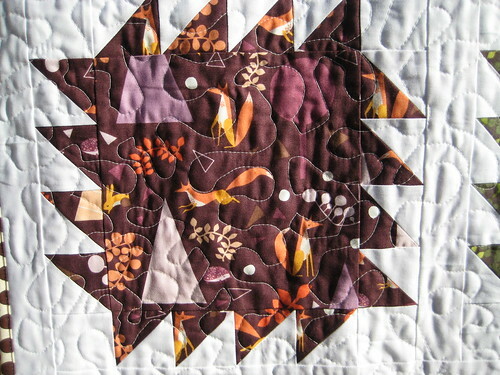 It looks great & I'm so impressed with your fmq! Good for you! I knew you could do it! Looks great, awesome texture to the quit. Love it! You never cease to amaze and inspire me! 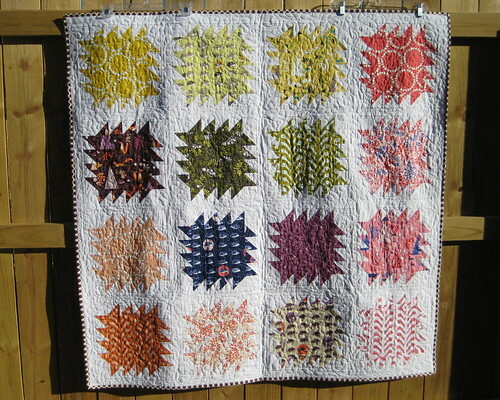 The quilting looks great! It took me awhile before I got the right combo of tension, needle speed and hand speed with FMQ.